What made me take part? During the careers fair, I was roaming around many different booths to see what opportunities were available. By chance, I saw the TARGETjobs booth; the person at the booth was very helpful and I decided to sign up for further information. 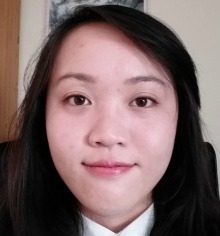 Frankly, I have always been interested in a banking career, especially in investment banking and corporate banking; I wanted to make the most out of the first year and was hoping to find some work experience. Although I have received many emails from TARGETjobs, one particular email caught my eye, and that email is the Undergraduate of the Year competition. The initial part of the application is quite straightforward, but the tricky part is the three questions at the end. Those were some interesting questions and it makes you really think about them. Throughout the application process, it is important to show your personality and thoughts. In addition, it is crucial to have good commercial awareness and an understanding of Barclays’ functions. The award ceremony started with some drinks and a casual networking event; it is rather easy to get lost in the swarm of people, but I somehow managed to find the rest of the finalists. From the conversations I had with them, I am confident to say that they are all extraordinary individuals; all of them have many amazing achievements. Then one by one, the Barclays staffs came over. They were very friendly and down to earth, and also gave many useful insights into the corporation itself. We then settled down at the table and, after the lunch, Konnie Huq was introduced on the stage. Her speech was very inspirational and perfect to set the tone for starting the award ceremony. We started off with several other awards and, once it was time to reveal the winner of the First Year of the Year award, I was extremely thrilled but anxious. It was such a breathtaking moment then,when my name was called out, I was frankly a bit shocked because I knew that all the finalists were spectacular. Nevertheless, I must say that I felt extremely honoured and overjoyed to receive such an outstanding award.